Thank you for using our typeface. This "Demo" font is for personal use only, not for commercial use. This is limited character demo version. <br>This "Demo" font is for personal use only, not for commercial use. <br>if you would like to consider using it for commercial projects. <br>please visit our web page <br>http://www.studiotypo.com <br>Thank you. 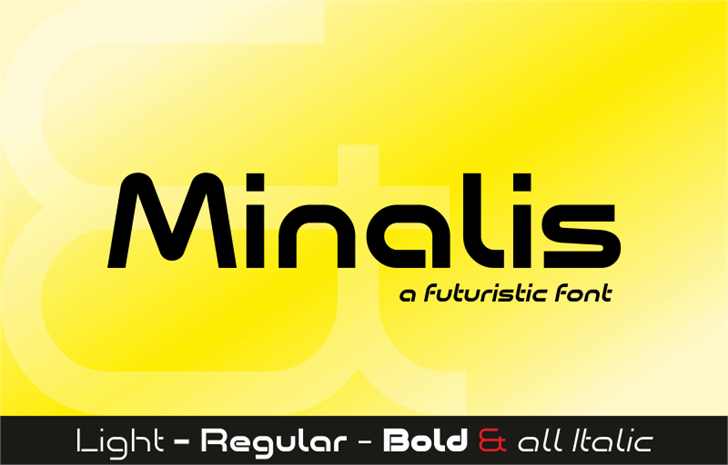 Minalis Font ® Trademark of StudioTypo.